A few weeks ago during a heavy snow storm, a neighbor's tree fell into the lake. 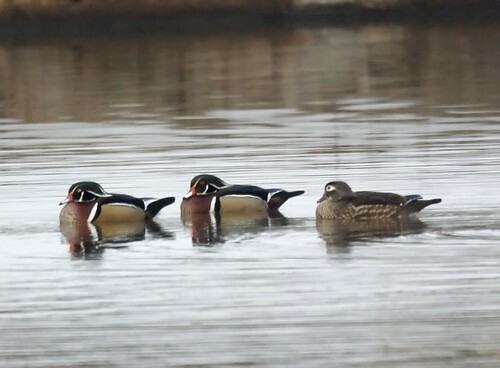 Now that parts of the lake are unfrozen, it is providing good shelter for some wood ducks. 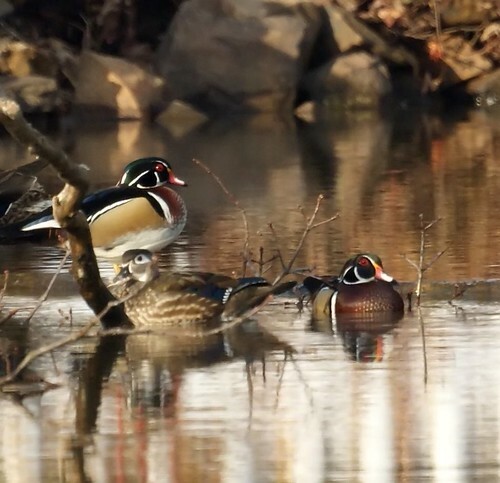 Here, two male wood ducks are vying for the attention of a single female. We're glad to see these less frequent visitors and hope they are a harbinger for spring.